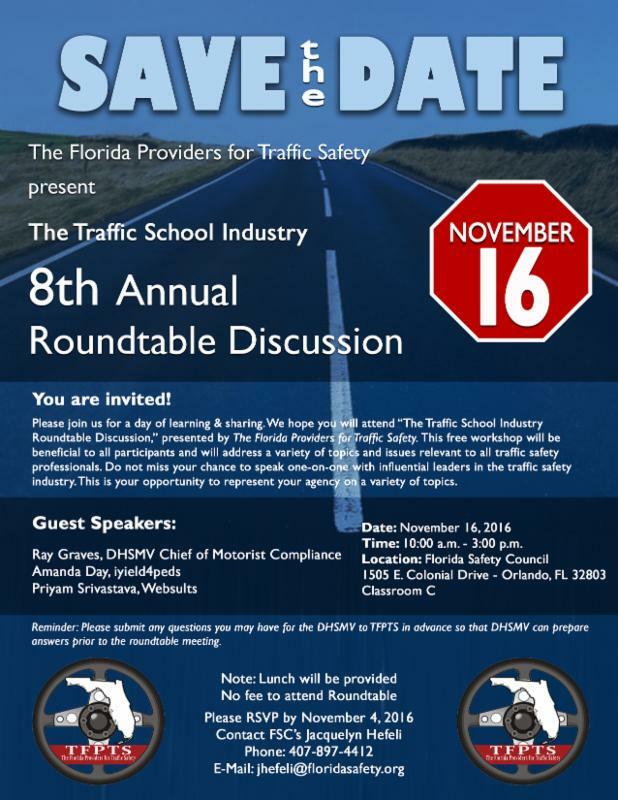 Websults is proud to announce its participation in The Florida Providers for Traffic Safety’s 8th Annual Roundtable Discussion about “The Traffic School Industry”. Websults’ SEO specialist, Priyam Srivastava, is one of the three guest speakers presenting at this event, which will take place on Wednesday, November 16th, 2016. The other guest speakers are Ray Graves, DHSMV’s Chief of Motorcycle Compliance and Amanda Day speaking for iyieldforpeds. As the speakers talk about vehicle traffic issues, Priyam plans to incorporate information on increasing digital traffic for organizations. Relating motor vehicle traffic to digital traffic will give participants a greater understanding of the importance of maintaining an online presence for their organizations. Priyam has extensive knowledge in SEO best practices and he has experience with transforming websites in order to move leads. Your organization will not want to miss the opportunity to increase your online awareness. Feel free to meet up with Priyam after the event for further Q&A. The Traffic School Industry roundtable will address a variety of topics and issues relevant to all traffic professionals and therefore, be a great event that is focused on learning and sharing. Don’t pass up this opportunity to speak one-on-one with influential leaders in the traffic industry. Websults encourages you to attend this free event! To RSVP, please contact FSC’s Jacquelyn Hefeli at jhefeli@floridasafety.org or 407-897-4412. The Florida Providers for Traffic Safety event will be located at 1505 E. Colonial Drive, Orlando, FL 32803 (classroom C) and taking place from 10:00 am – 3:00 pm (lunch is provided). Websults would like to thank TFPTS for giving us this opportunity. We are looking forward to provide our digital marketing expertise to support the Florida Traffic School Industry.